Let the mystical healing and shielding qualities of turquoise and the lunar emitting radiance of the moonstone centered Eye of Horus raise your vibrations and escalate your mind, body and spirit journey. 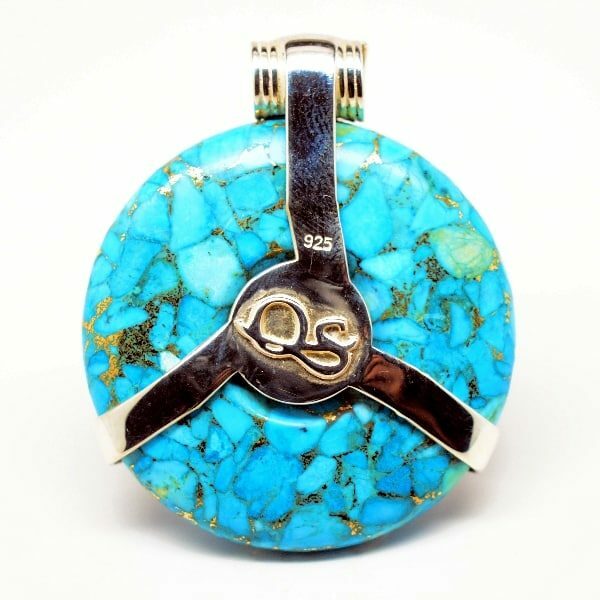 Prized as a stone of spiritual attainment that activates the throat and third eye chakras, turquoise compels one towards truthful communications amid the earthly and cosmic realms. 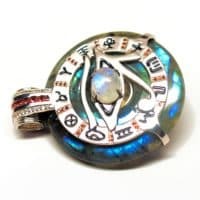 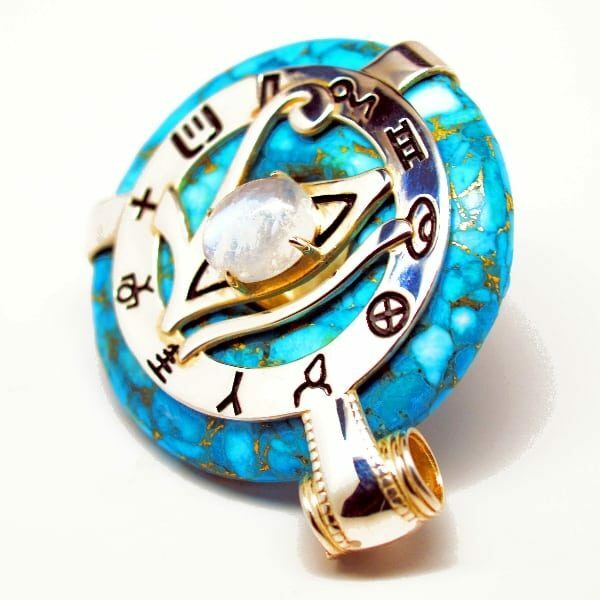 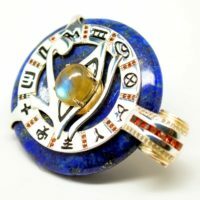 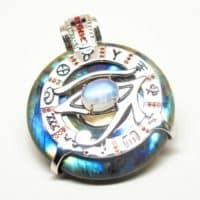 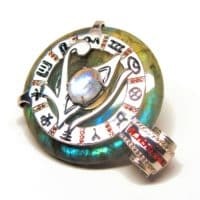 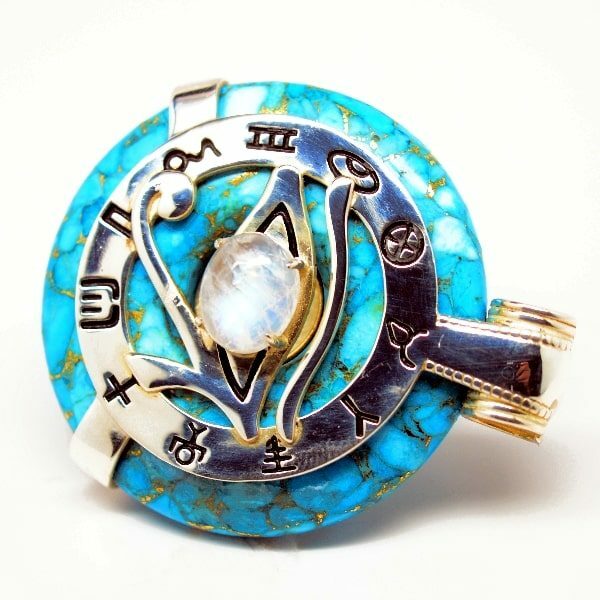 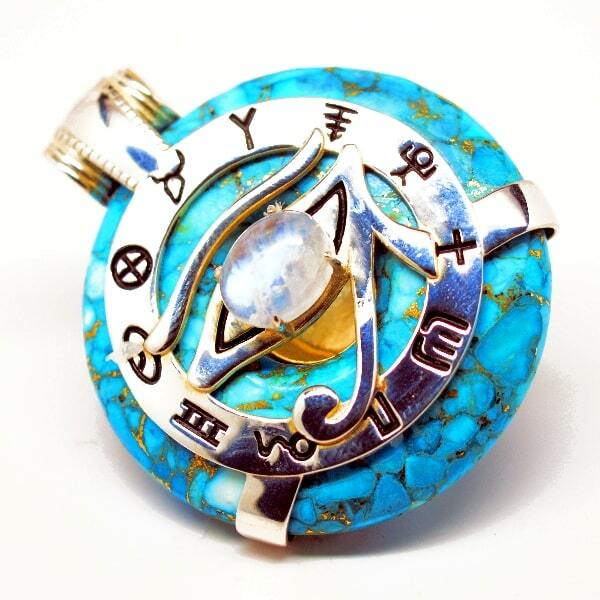 Moonstone amplifies the protective and all-seeing qualities of the Eye of Horus with a calming and soothing energy that helps users ease physical and emotional traumas from the past or present. 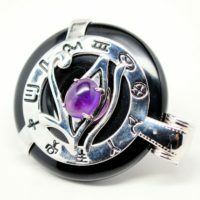 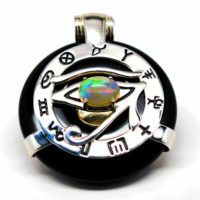 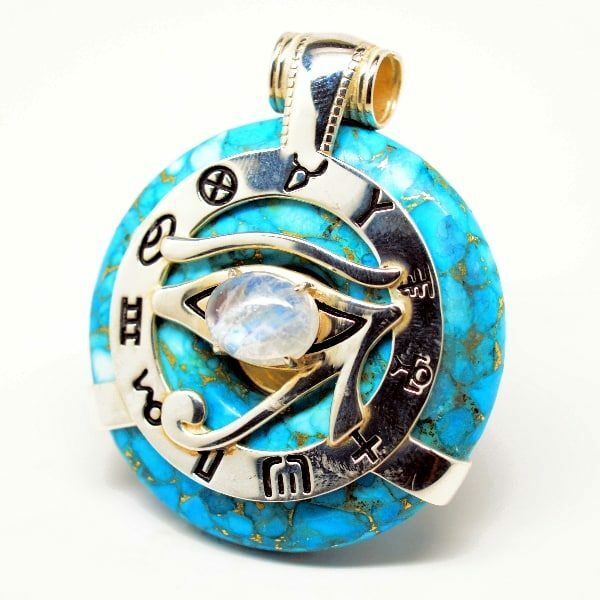 These benefits are further magnified with three harmonic infusions, 11 mystical symbols and a healing magnet hidden behind the moonstone eye. 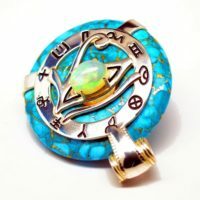 Those seeking greater abilities of perception, prophecy, astral travel and contact with spirit guides can’t go wrong with this magnificent healing tool. 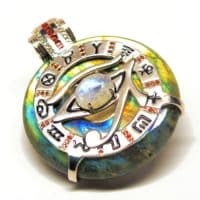 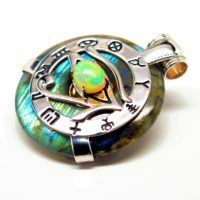 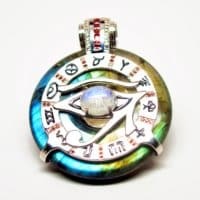 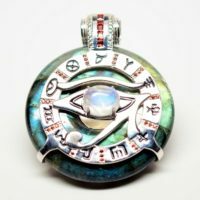 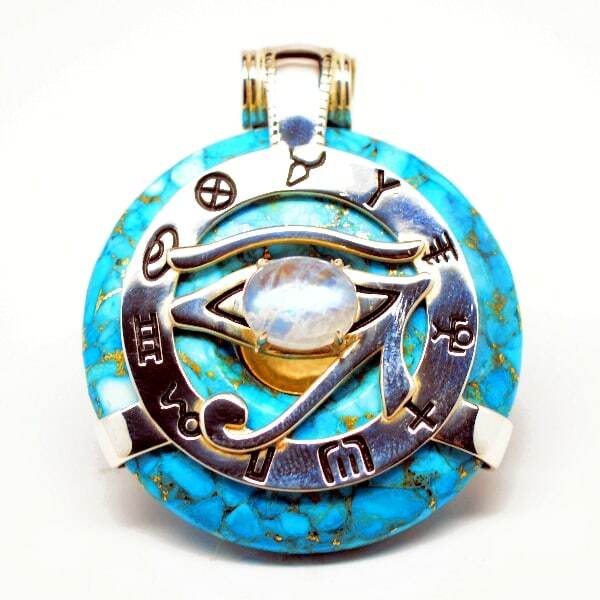 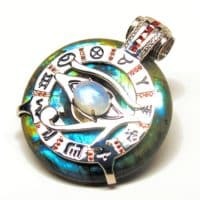 Be the first to review “Turquoise w/Moonstone Eye – Horus Egyptian Amulet” Click here to cancel reply.